Discussion in 'Cars in General' started by GTPNewsWire, Jan 12, 2018. This article was published by Andrew Evans (@Famine) on January 12th, 2018 in the Cars category. What's that doing there thought Auf widersen pet took her . Nice review and some nice quiet roads around there to try it out. Bribe them with a Greggs pastie or even better a petchs pie. 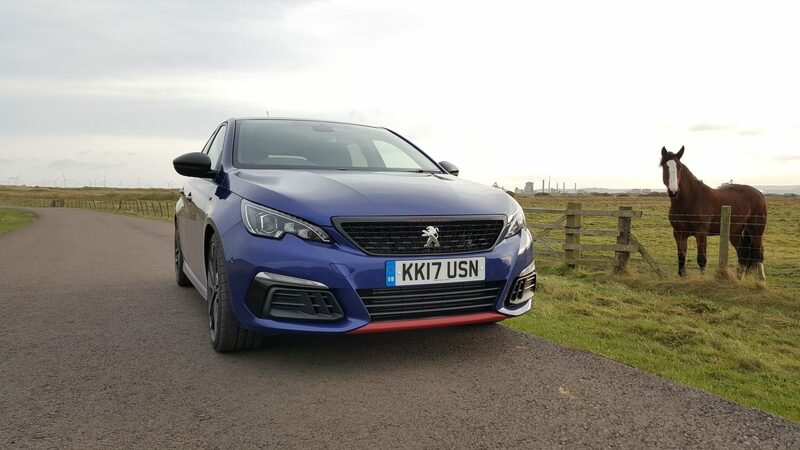 This is the first 308 GTi review I have read that does not point out how massive the front brakes are. 380mm!!! With just over 1200kg to stop. I'm hoping they devalue badly like every Pug does in Aus so I can pick one up cheap once they around 5 years old. Although I do hate the steering wheel position in these latest Pugs. It is just way to low. The only thing which puts me off is the steering wheel. I do mention "massive brakes" in the conclusion section, but it's a good point that I haven't really mentioned it elsewhere. Originally the 308 GTI had pretty good brakes, but the 270 added these 380mm discs and four-pot Alcon calipers - and a lot of reviews at the time mentioned how good they were because they were part of the upgrades over the regular GTI model. Now Peugeot has discontinued the original car and just the 270 remains, so they're not really an upgrade any more. I'll have a think about it though. Any particular reason you didn't mention the i30 N, possibly the best car in this class and probably the closest match to the Peugeot in terms of power and price, in the rivals section? When I was shopping for my car back in March, the local Peugeot dealer had these just in stock and I was seriously impressed by the body styling additions. It really looked mean.